Apricots are small, golden orange fruits, with velvety skin and flesh. They’re not too juicy but definitely smooth and sweet. Their flavour is almost musky, with a faint tartness that is more pronounced when the fruit is dried. Some people say that they taste like a cross between a peach and a plum, fruits to which they’re closely related. Apricots are originally from China but arrived in Europe via Armenia, which is why they bear the scientific name Prunus armenaica. Apricots are enjoyed as a fresh fruit but also dried, cooked into pastry, and eaten as jam. The fruits are also distilled into brandy and liqueur. Essential oil from the pits is sold commercially as bitter almond oil. Nutrients in apricots can help protect the heart and eyes, as well as provide the disease-fighting effects of fiber. The high beta-carotene and lycopene activity of apricots makes them important heart health foods. 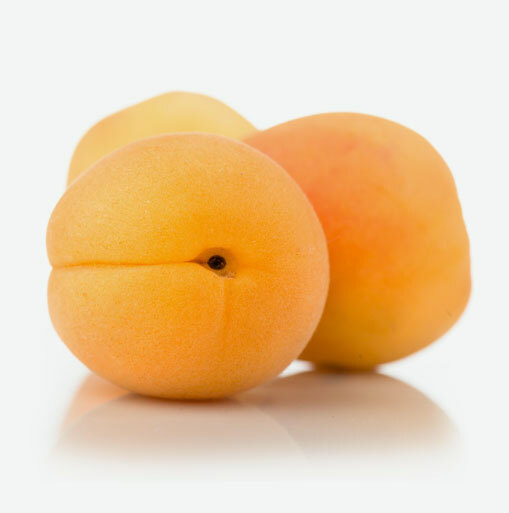 Apricots contain nutrients such as vitamin A, which promotes good vision. Look for fruits with a rich orange colour while avoiding those that are pale and yellow. Fruits should be slightly soft. If apricots are too firm, they have not been tree-ripened. Tree-ripened fruits are at their peak and always taste best. These delicious fruits are delicate and perishable. Place them in a bowl and enjoy them as soon as you bring them home. Add sliced apricots to hot or cold cereal. The next time you make whole grain pancakes add some chopped apricots to the batter. Give a Middle Eastern flavour to chicken or vegetable stews with the addition of diced apricots. Serve fresh apricots in your green salad when they are in season or wash them under cold water and enjoy as a snack.